William Delany was called to be bishop the diocese of Cork at a period when the Catholic Church in Ireland was just emerging from the darkness and sorrow that had long oppressed and degraded her through the Penal Laws. The famine was ravaging the country and Cork?s city and county felt the effects. People in their thousands were fleeing from the land rather than face horrible death by starvation. Education was also at a low ebb. Delany pursued a vast building programme replacing the primitive churches of the diocese and many of today?s churches were built during his episcopacy. Schools were provided in every parish and the work progressed so well that the diocese became studded with religious and educational establishments and all undertaken at a time of great poverty and hardship. He also launched a plan to give the diocese a junior seminary and shortly before his death laid the foundation stone of St. Finbarr?s College, Farranferris. Though a sincere lover of his country, he abstained from any active involvement in political affairs. The period of his episcopate, 1847-1886, covered an interesting, albeit in some respects sad, chapter of Irish history. He saw the country sink in deep famine, physically and politically prostrate; he watched her varying fortunes. 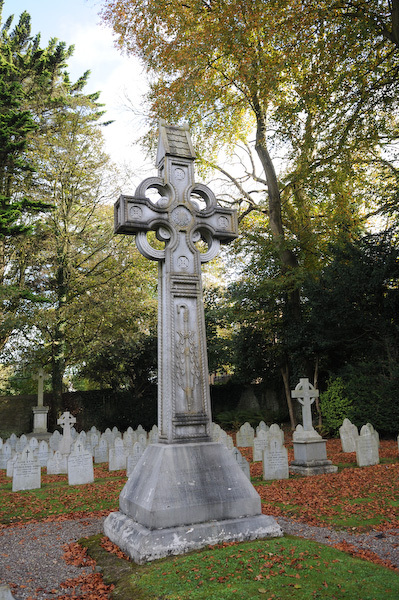 He closed his eyes in death at a time when Ireland was beginning to rise up from her knees and pushing forward steadily to the attainment of her national and natural rights. He was as powerful and effective in the pulpit as he was influential and telling in public assemblies. He was endowed with a rare command of the most choice and elegant language. His public utterances were characterised by a courtly grace, eloquence and paternal kindness. Because of age and infirmity, Bishop Delany was dispensed from making his ad limina visit to Rome in 1880 but presented a fourteen page report on the state of the diocese, dated December 2, 1880. The cathedral chapter had seventeen Canons; parishes numbered 34 and there were 32 PPs, 54 CCs and 25 chaplains; 70 churches and six under control of religious orders. Population: Catholics 182,992, Protestants: 23,132; Others: 4,000 Marriages in the period 1875-1879: 5,007; Confirmations: 22,850 compared with 28,763 for previous period. In five years 346 Protestants were received into the Church. Concerning the social status of the diocese, he said that throughout the whole land Protestants were in control and the greater part of the Catholic population was most poor having few possessions. In towns there were some Catholic traders who were rich compared to those in the country and their number was growing. Bishop Delany found himself in the midst of controversy when in March 1881 he changed two curates, Rev. John O?Mahony and Rev. Denis McCarthy from the city parish of St. Finbarr?s to the rural parishes of Kinsale and Bandon respectively. The priests looked upon the change as ?equivalent to a public defamation of character?. 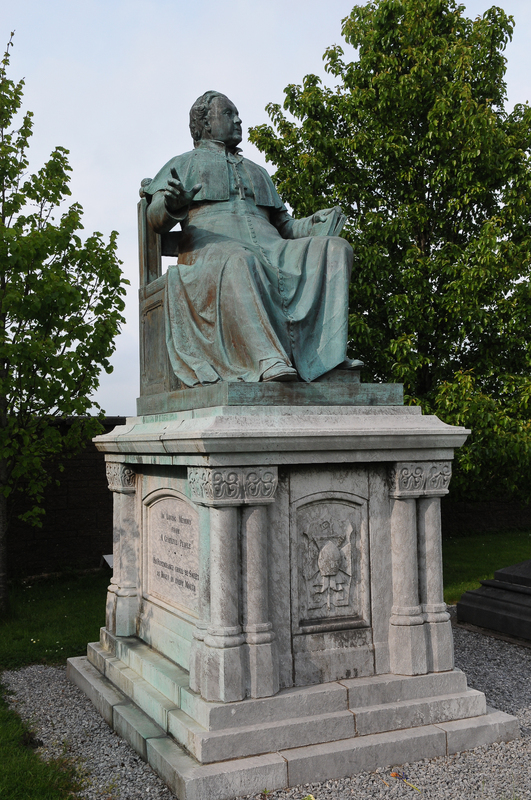 Father O?Mahony appealed to Bishop Delany who insisted on the move taking effect; then appealed to the metropolitan of Cashel province, Archbishop Thomas Croke and finally to Rome. The parishioners backed O?Mahony, set up a special committee and carried on a lengthy correspondence in the press with Bishop Delany. They drew up a specially printed memorandum addressed to Cardinal John Simeoni, Prefect of S.C. Propaganda. The reply from propaganda was negative. The rejection by Rome was followed by a special petition in English running into 173 pages with an average of 20 names to a page. Throughout the whole troublesome period Bishop Delany showed great patience, dignity and restraint. He made it clear that he was motivated to make changes, ?only by a desire to do what is best for the honour of this ancient diocese and best for God?. He added: ?I do not wish in the least to imply that they (O?Mahony and McCarthy) have been guilty of any moral fault?. The newspapers of the day had a real field day and could be said to have aggravated a very delicate situation. According to a Cork Daily Herald correspondent both priests were at the last city election among the nominators of Parnell and that such a removal as this from a higher to a lower curacy and a reversal in fact of the ordinary course of promotion, is entirely unprecedented except for some clerical offences. ?There are 114 priests as well as some chaplains for convents of nuns. There are 32 regulars, 70 churches and also some rural chapels. There is a diocesan grammar school and there are other similar schools run by the good Brothers. At the same time, there is a sufficient number of primary schools which have a larger number of Religious teachers and there are others (Religious) serving in pious institutions. It can be seen, therefore, that the only thing lacking is a good college doubling also as a diocesan seminary. The clergy have great need of re-entering into the ecclesiastical spirit and to this task the new Bishop (Thos. Alphonsus O?Callaghan, Coadjutor) is now dedicating himself.? The text of Bishop Delany’s Last Will and Testamant of 23rd August 1886.